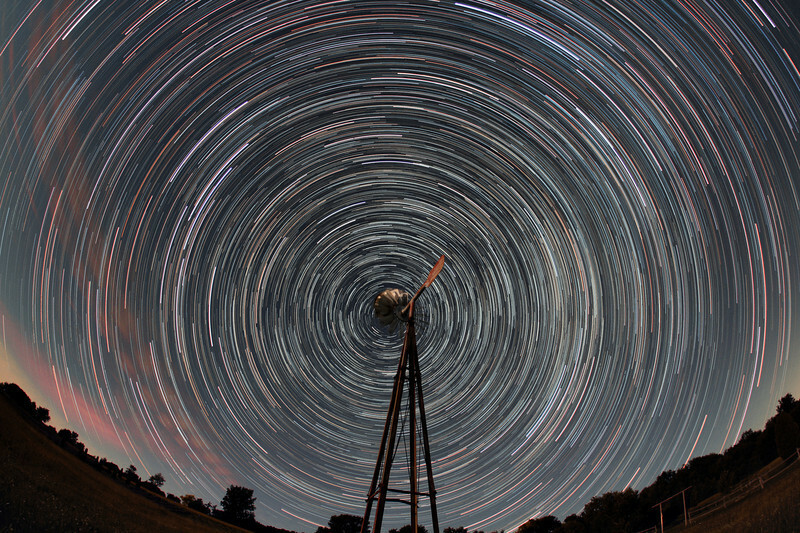 The world revolves around Shelter Valley...Shelter Valley Folk Festival star trails. 95 x 1 minute each, Canon 60D sigma 10mm lens @ f2.8, 1000 ISO. Taken by Lynn Hilborn, Grafton, Ontario on June 26, 2012.